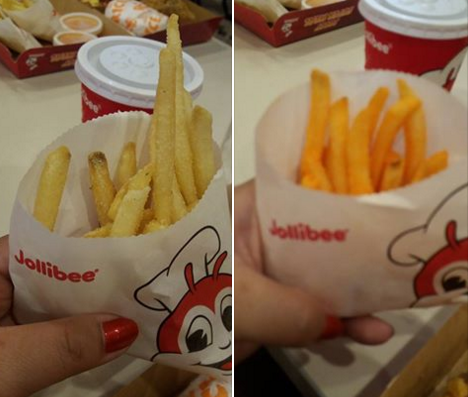 Jollibee launched its new Crispy Flavored Fries for a more tasty, filling snacks! And we were there to withness the introduction of its new super cheese and sour cream flavors. Our fun activity started by signing up for either #teamsupercheese or #teamsourcream. 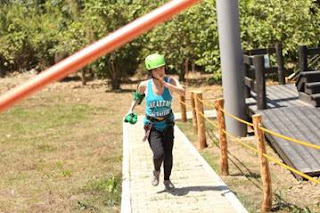 The two flavors were represented by two teams in one adventure-filled day with Jollibee. 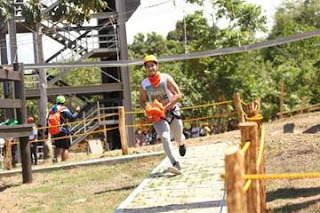 Ric Padilla, Curt Dizon, and Simon Greatwich plus Youtube personalities Wil Dasovich and Janina Vela joined in the competing teams led by Loyola Meralco sparks FC players James and Phil Younghusband. The first three hurdles required physical acumen and stamina as #teamsupercheese and #teamsourcream competed with each other at the FRIEStacle Course. The culminating activity was assembling the Jolly Crispy Flavored Fries puzzle. In the end, #teamsourcream led by James Younghusband, outwitted #teamsupercheese and was declared champion. Super Cheese is an overload of cheese varieties for an enhanced potato fries. It's cheesy haven in every bite of golden, crispy potato fries. Sour cream, on the other hand is perfect for those who crave zing in cream and hints of onion flavor. No matter how you decide to enjoy your fries, its perfectly fried fries-- crispy on the outside but soft on the inside -- gives that ultimate smackdown. 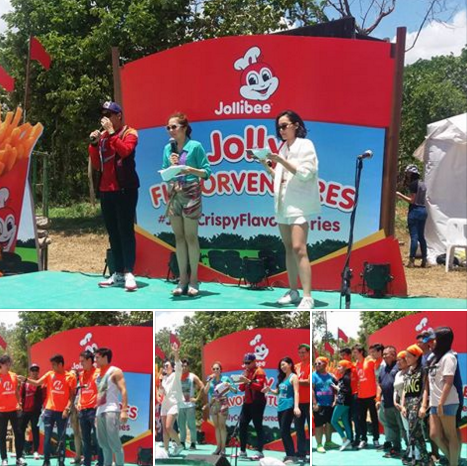 Jolly crispy flavored fries are available in Jollibee stores nationwide for P40 for reg size, P65 for large and jumbo size for P 80. Beat the heat with summer ready jolly crispy flavored fries + jollibee float combo starting at P65. Try the Jolly Crispy Flavored Fries now at your favorite Jollibee branch!